Taken from the Western Heights in the 60's.So much going on.For me one to remember. Ive been told there was a large gun with a 9 mile range(?) mounted along the arm of the western dock, which was sunken with the magazines below ground either side of the gun which would be loaded then raised/fired then lowered and re-loaded. On the image, middle/right there are 3 blue loading cranes, just to the right of that is a structure of brick construction (possibly) where he thinks it stood,. 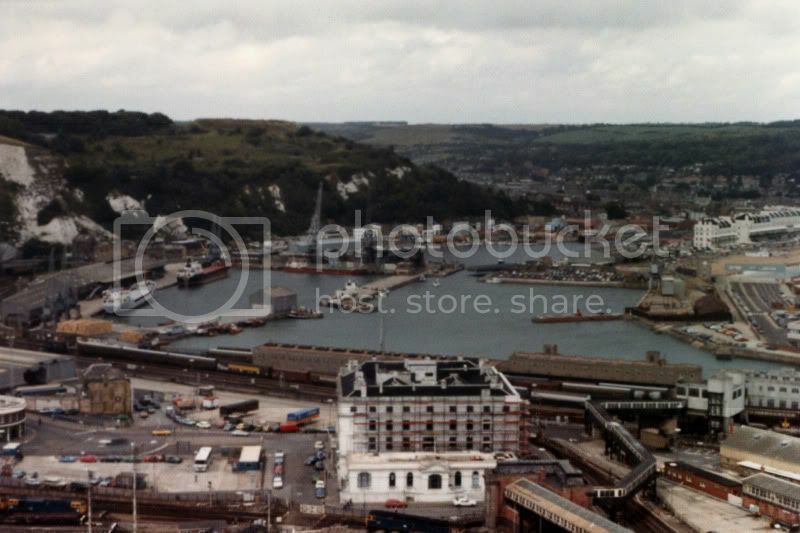 I took this photo in February 1973 from up near the Grand Shaft. Just found the attached photo in my Grandfathers collection. 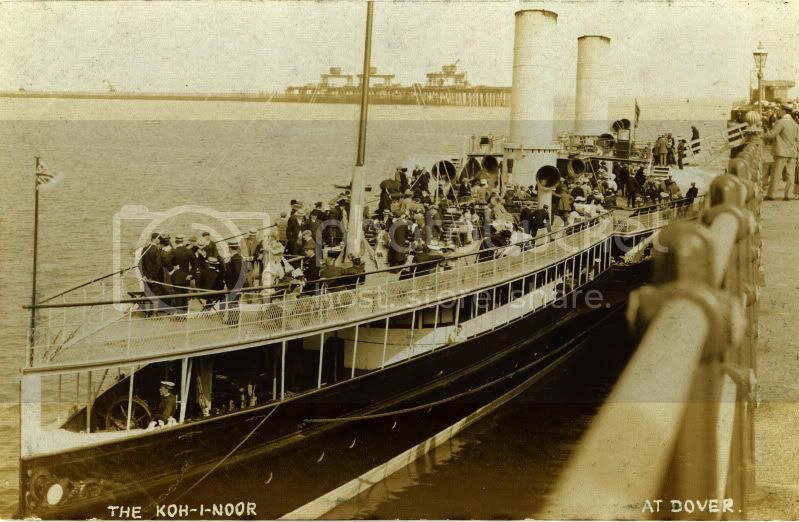 He did a day trip from Swan Pier, Central London to Dover on the 29th August 1907.The Paddle Steamer was the "KOH I NOOR" belonging to New Palace Steamers.The funnels were telescopic in order for her to transit the London bridges. 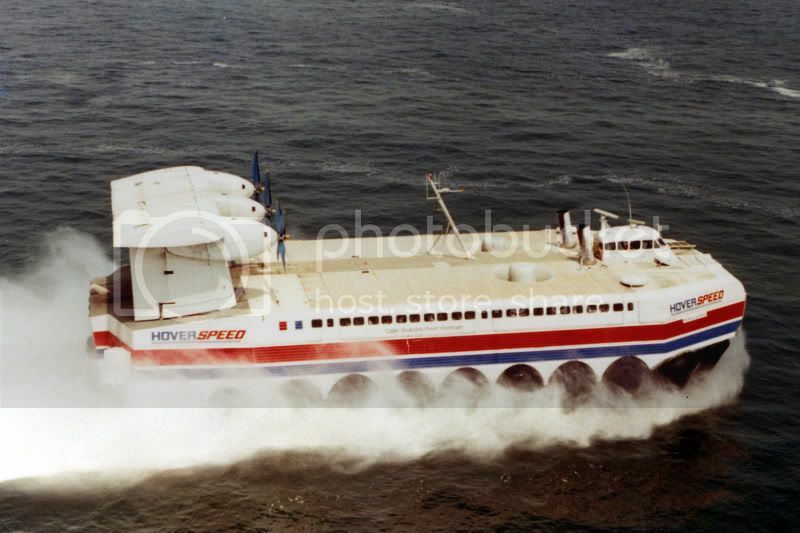 The french hovercraft Jean Bertin was almost useless. it was retired whilst I worked at the hoverport. When it was scrapped, the engines were brought to the U.K. I had to deliver the cheque for the duty, to Customs at Southern House. it was for £20,000.00. Quite a nervous bike ride. More excellent pix - thanks ! Looking at the background.Is the steel girder work part of the building of the Eastern Arm? I think that's the temporary viaduct for the contractor's railway between the Eastern Arm & the Southern Breakwater. The breakwater looks pretty much completed [no visible contractors equipment] & as the EMPRESS was built 1907 she must be pretty new in that photo. 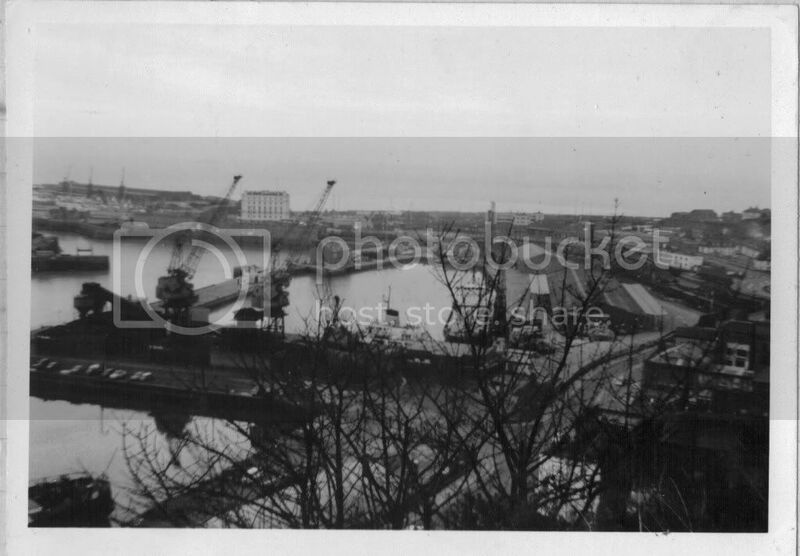 The viaduct would have been removed before the completion of the Admiralty Harbour in 1909, so I would hazard a guess as to the date of the photo as about 1908. A general view 1980 ish. Just leaving the Western Entrance the French Hovercraft "INGENIEUR JEAN BERTIN" 1977 - 1985. The ferry "CAESAREA" with a Christmas tree on the main mast and smoking well. 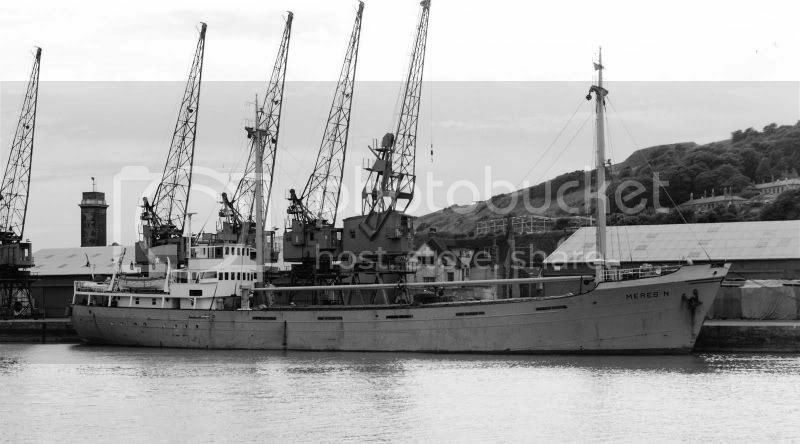 Built by Whites at Cowes I.O.W. 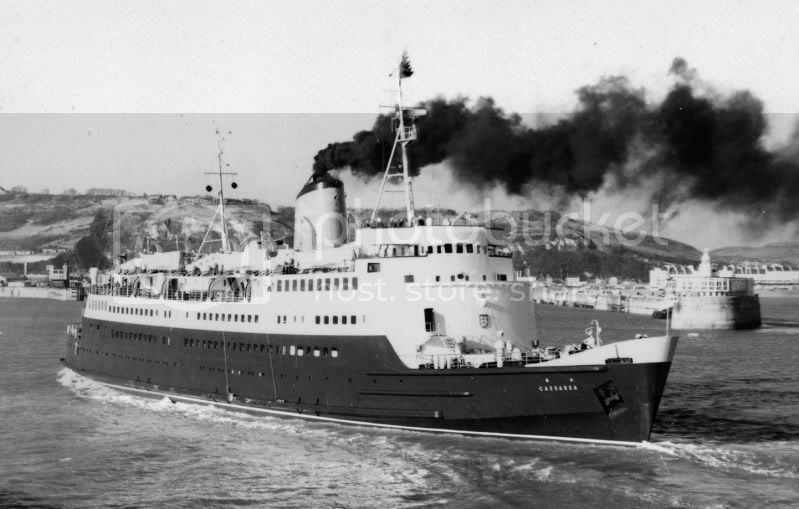 in 1960 she ended her career at Dover in 1980. 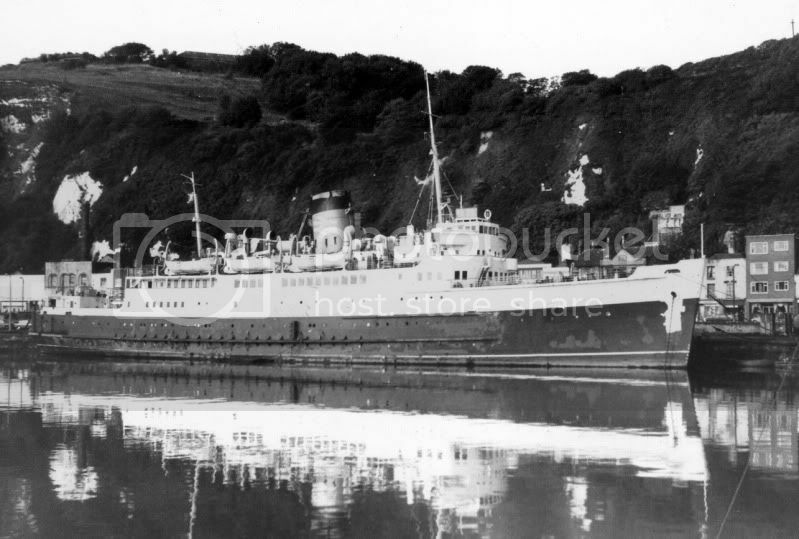 The Sealink ferry "ST PATRICK" laid up having recently been sold to Greece in 1972.She worked on the Folkestone to Boulogne service. 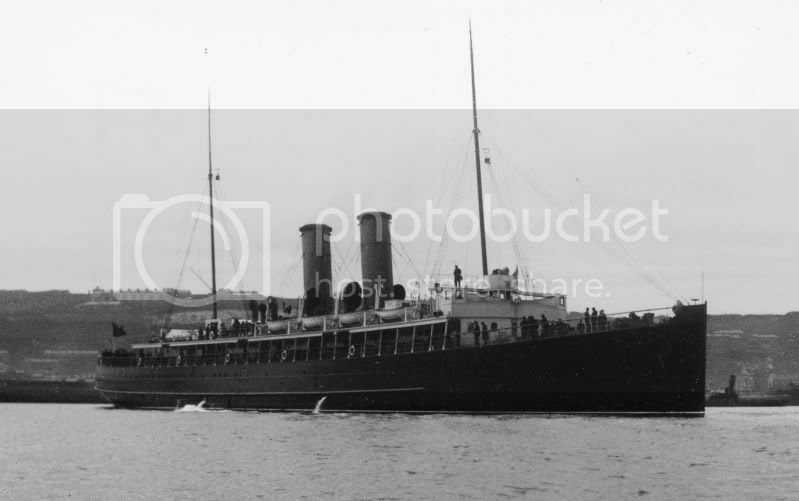 The SECR "INVICTA" Built 1905 and was later transferred to the French in 1923. 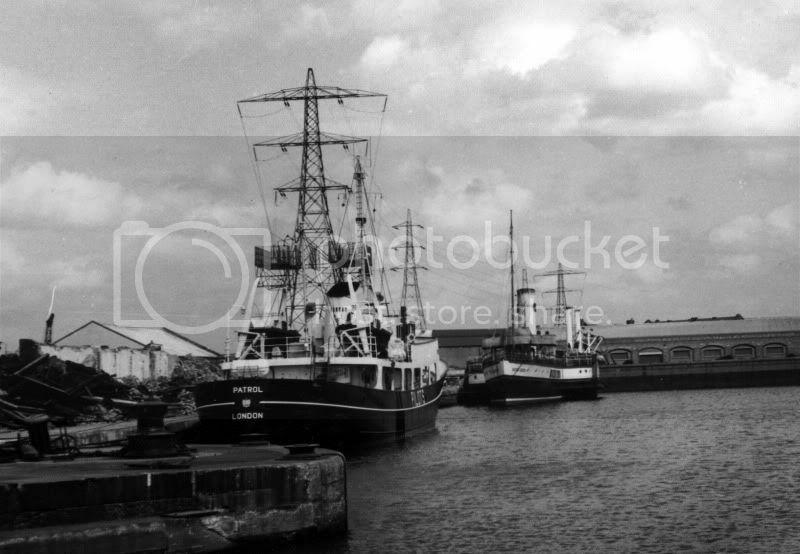 Just love the Pilot Cutter alongside with the "Woodbine funnel". 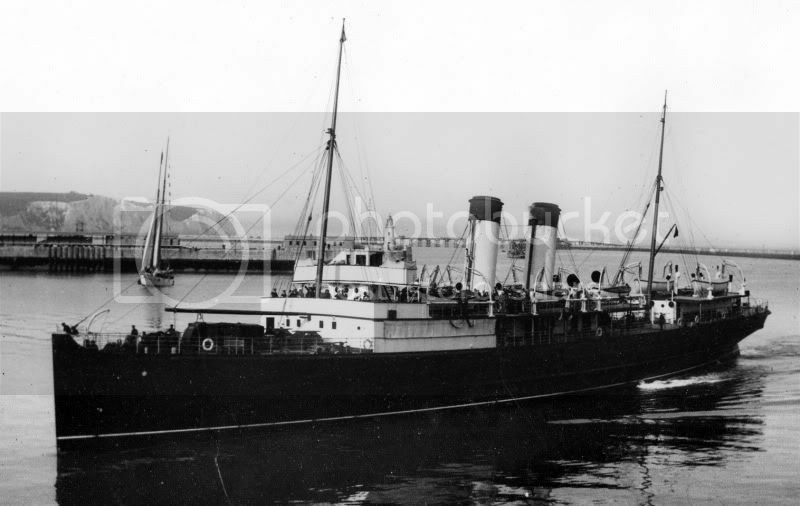 The Belgian Marine turbine steamer "PRINCESSE ELIZABETH" Built 1905 and lasted to 1931. The SECR "EMPRESS" .Built 1907 and in 1928 sold to the Isle of Man SP Co.
A little more background in this one. 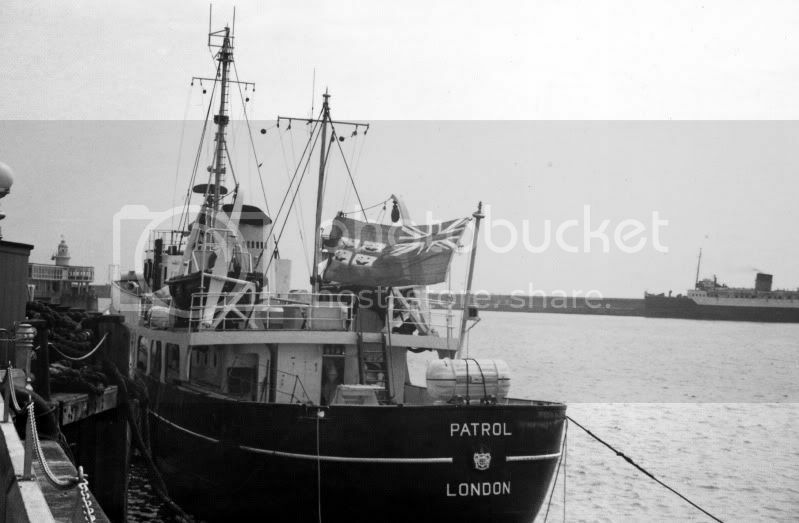 The Trinity House pilot cutter "Patrol" alongside the Prince of Wales pier on the 1st August 1962.Built to replace some of the earlier cutters that operated off Dungeness.I was told that she didn't have good sea keeping qualities.The service was discontinued from Dover/Dungeness and replaced by a launch service from Folkestone.Patrol was transferred to Harwich and eventually laid up in the West India Dock. 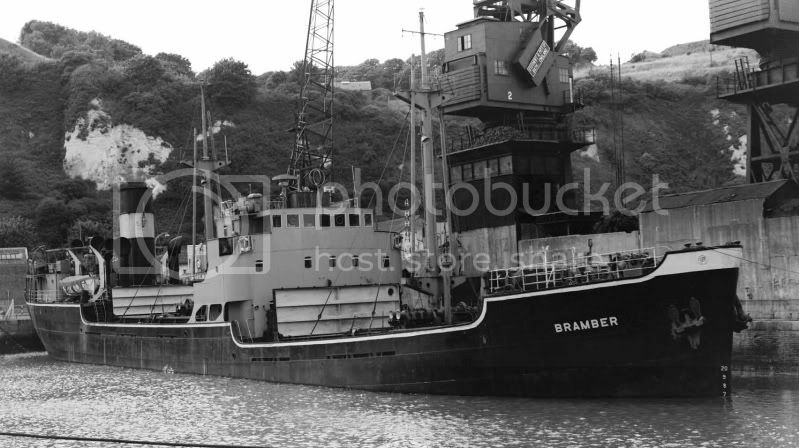 I have been sifting through my Dover collection looking at the backgrounds.My interest was the ships and therefore with the fixed lens we had in those days you concentrated more on the ship rather than what was in the background.It's only now how I wished I could have panned back. 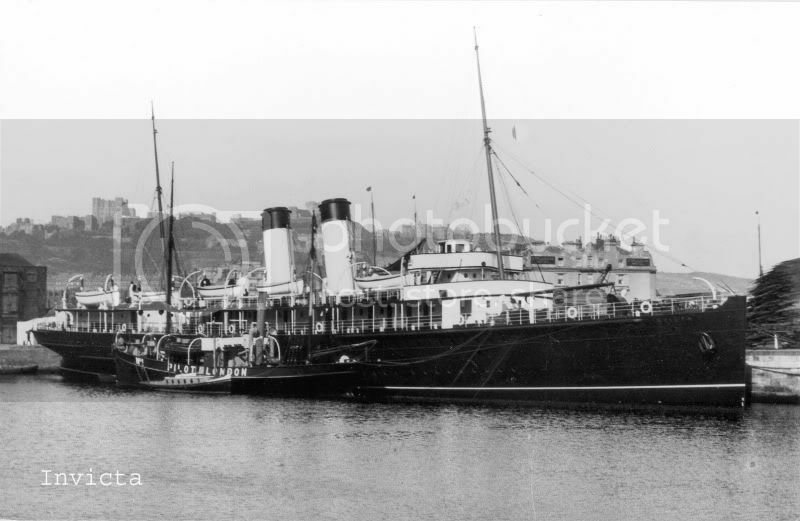 The ship is one of Stephenson Clarke's steam colliers.A large coastal company delivering coal.Frequent visitors to the Port.